Dr. Rob was born and grew up in St. Joseph, Missouri. He graduated from Central High School in 1987 and went on to complete his Bachelor of Biology degree at University of Missouri – Columbia. He received his Doctorate of Optometry at University of Missouri School of Optometry – St. Louis in 1996. He and Dr. Loree were married in St. Louis in 1996 and moved to Denver to begin their married life and new careers. Rob practiced with a large group in southeast Denver for over 7 years and was a member of the Aurora Chamber of Commerce. In 2001, he and Dr. Loree purchased Family Vision Center and started practicing together. He works to provide quality eye care by providing the best staff, equipment and knowledge currently available. He also continued the legacy of the practice which is known for being professional and friendly at the same time. He is a Past President and current active member of the Westminster Rotary and enjoys working on the scholarship committee. His professional interests are in the areas of glaucoma, eye infections and diseases, advanced contact lenses fitting – including Bifocal Contact Lenses, Keratoconus and GVSS (Gentle Vision Shaping System). Dr. Rob speaks Spanish so that he can make all Spanish-speaking patients feel welcome. As a Doctor of Optometry, part of my commitment to my patients is ongoing professional education. As technology and the world around us changes, I strive to keep up-to-date so that I can provide the best care possible for your eyes. Dr. Loree is the older of two children and grew up in Goodman, Missouri, which is located near the beautiful Ozarks. She completed her Bachelors Degree at Missouri Southern State University -Joplin in 1990 and received her Doctorate’s Degree in Optometry at University of Missouri School of Optometry – St. Louis in 1995. After working in St Louis and neighboring Illinois, she and Dr. Rob were married in 1996 and moved to Colorado. 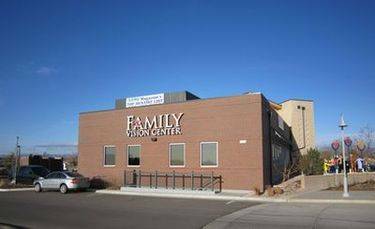 Dr. Loree provided family vision care in Highlands Ranch and the Belmar area before joining Dr. Michael Wazny at Family Vision Center in 1998. When Dr. Wazny retired in 2001, she and Dr. Rob bought the practice and have been working to keep it as family-oriented and professional as possible. 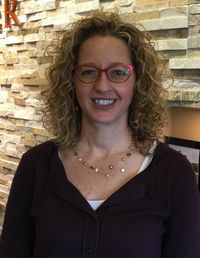 Dr. Loree practices one to two days a week and enjoys focusing on getting to know her patients, learning what their needs are and providing the best care and options for helping them meet their vision goals. She enjoys assisting at Aspen Creek school screenings as well as giving career talks to high school students in the area. Her personal interests include spending time with her two kiddos, researching ADD/ADHD and Celiac Disease, reading, crocheting and designing homemade cards.